On 22nd November, the German chamber of commerce in Austria invited participants to the Berlin-Vienna Urban Development Forum held in Vienna. 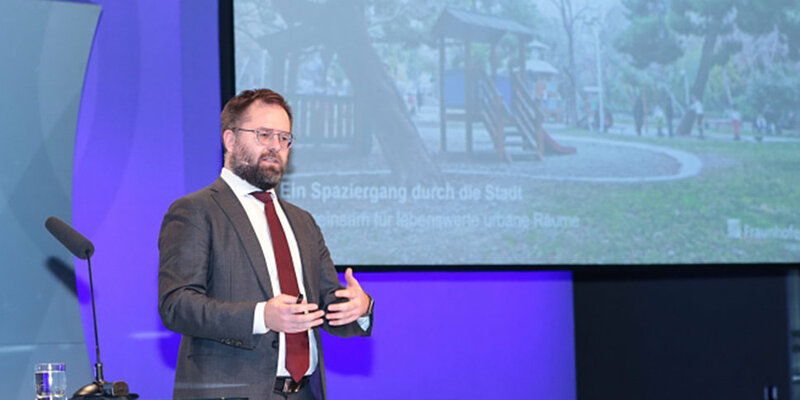 Speakers from the German capital included the Governing Mayor of Berlin Mr. Michael Müller as well as Dr. Ilja Radusch, director of the business unit Smart Mobility at Fraunhofer FOKUS. How can cities become more humane? How can power supply and mobility be developed further meaningfully? What solutions exist for smart infrastructures, connected mobility, and digital integration? These were some of the questions discussed at the symposium. In his presentation, Dr. Ilja Radusch stressed that humane spaces in the city can only then emerge when all part systems from traffic to housing right up to power supply are interconnected. Data is thereby the driver of the new city. In addition, a ”smart government” is important that deals with the “digital services of general interest” of its citizens.